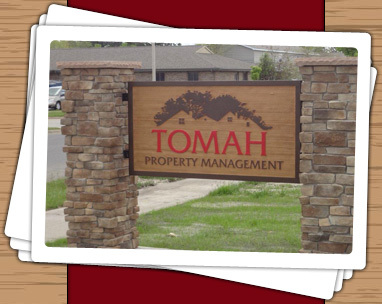 Choosing to rent an apartment from Tomah Property Management / Tomah Lumber Apartments means choosing to rent from a company with an excellent reputation for great service and quality housing. All of our apartments were custom designed and built by Tomah Lumber. Contact us for a showing. Fill out a rental application. Spread out and get comfortable with a spacious two bedroom apartment. These apartments are perfect for couples or singles looking for extra space. bedroom apartments from which to choose. live in a quiet neighborhood. All these apartments are one level.